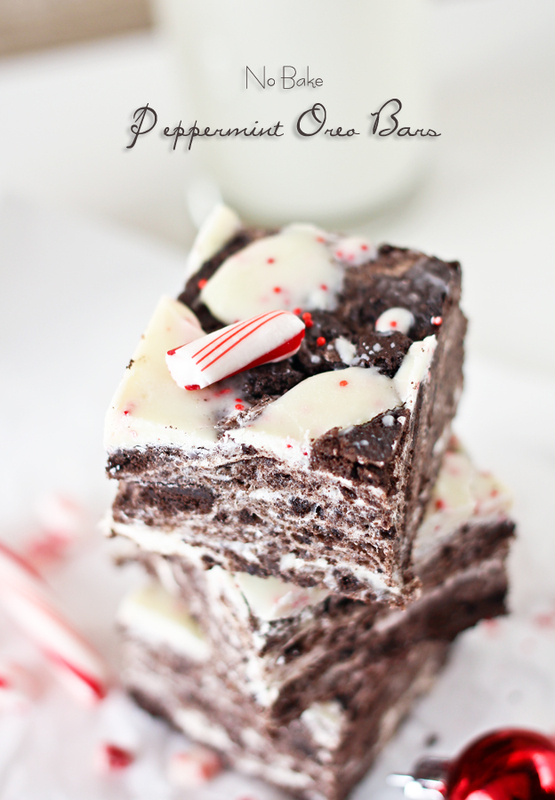 Looking for a simple & delicious peppermint recipe this holiday season? 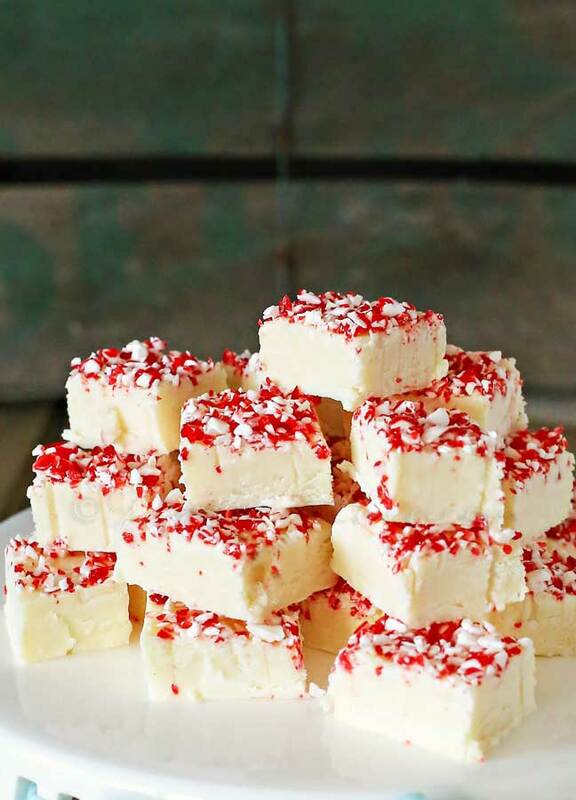 How about this Candy Cane Fudge, with just 3 ingredients, you can’t go wrong. I love a good fudge recipe. This one is super simple, takes only 3 ingredients and a few minutes. Perfect gift for friends, neighbors and holiday parties. Time for more fudge! I have been going crazy here making fudge like a mad woman. 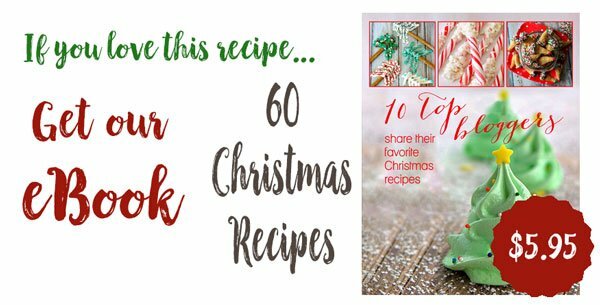 Recipe after recipe & oh my word – it’s overflowing. I just can’t help myself. It’s sort of a tradition & it definitely makes me happy to do it. So I’m up to my eyeballs in little squares of chocolate here. I have to admit- I’m in heaven really. I spent the better part of my life associating Christmas with fudge. It was ever present & something I would look forward to all year long. It meant special times. 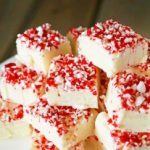 You see, my mom was known for her amazing fudge recipes & all our friends & the family would request some months in advance each year. I am so thankful that she taught me just how to make them all so that I can carry on her traditions through the holidays. I hope to be passing them down to my kids when they get married so that they can continue the tradition with their families. A good portion of my mom’s recipes are a little more in depth than this one. But she had a handful that is so simple that it’s almost silly to write out the recipe. I love that kind because they make great last minute gifts for taking around to the neighbors. Where can I find pre-crushed candy canes? I bought mine online here. But I have occasionally found them at specialty stores. Or you can just buy a bunch of regular candy canes and take out some of that holiday stress with a mallet. Just sayin’. Absolutely. 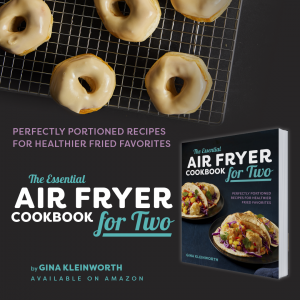 This recipe is easily doubled and that is a great option when it comes to a large family gathering or if you want to make one large batch and divide it up between the neighbors. This recipe is actually perfect for doubling because the sweetened condensed milk comes in a 14oz can & this 1 batch recipe only calls for 6 ounces. Unless you buy the brand I linked to below. Line an 8×8 dish with parchment paper. Combine the chocolate chips & the sweetened condensed milk. Microwave on 50% heat until fully melted & combined- be sure to stir well in-between each interval. Transfer melted mixture into prepared pan. 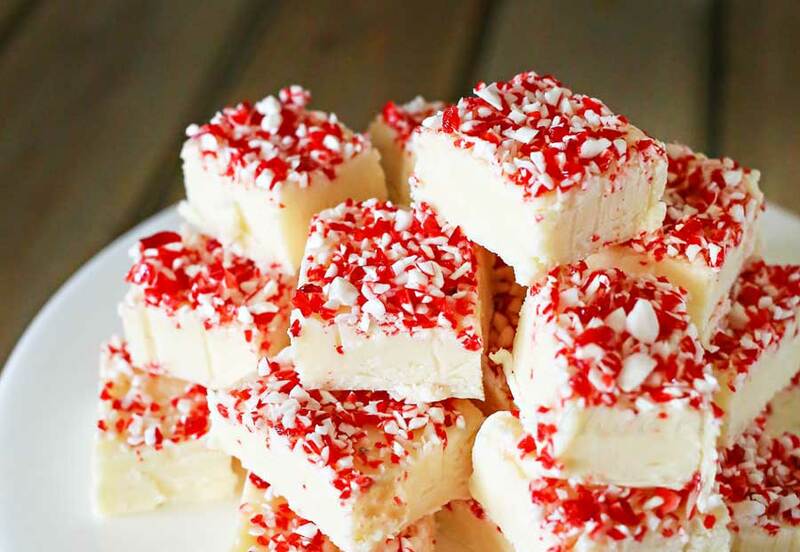 Sprinkle on your crushed candy canes & press in slightly. Refrigerate for at least 4-6 hours to set or freeze 2-4. This will be our little snack on Christmas morning while the kids open gifts! 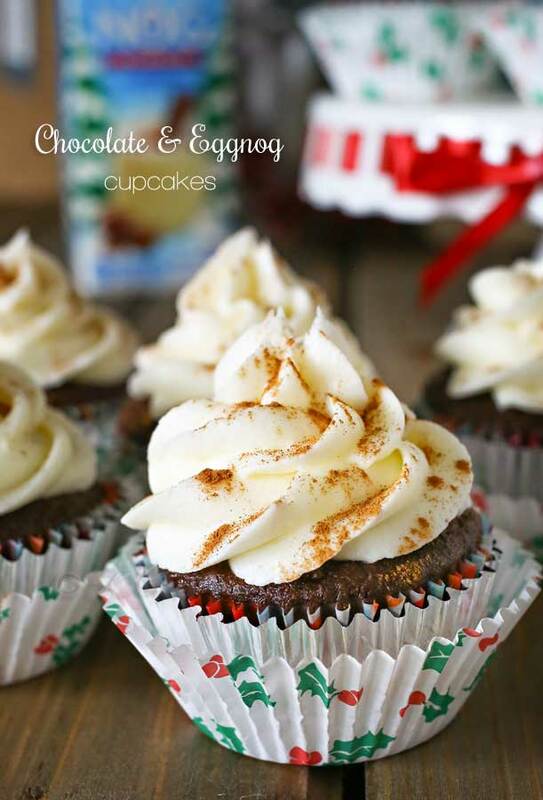 Looking for more great holiday treats? 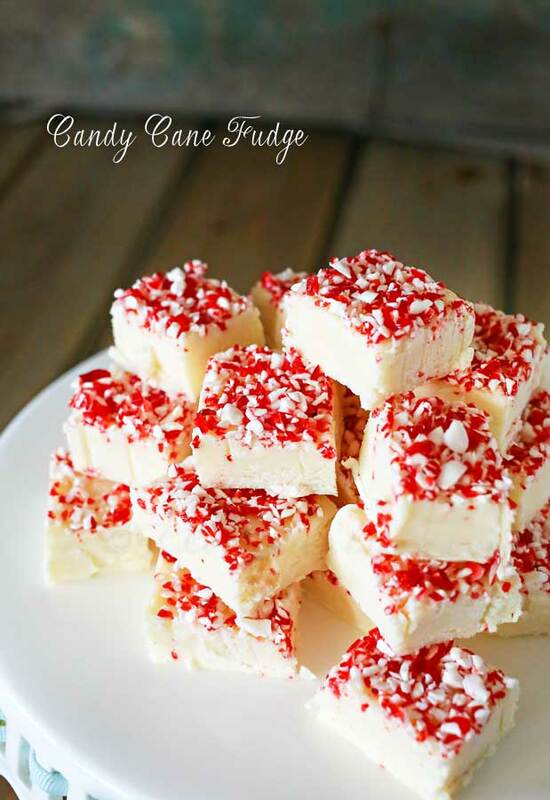 All I have to say is this looks amazing and I will be making Candy Cane Fudge this Christmas! This looks so amazing! That’s so sweet about your mom passing this tradition to you. 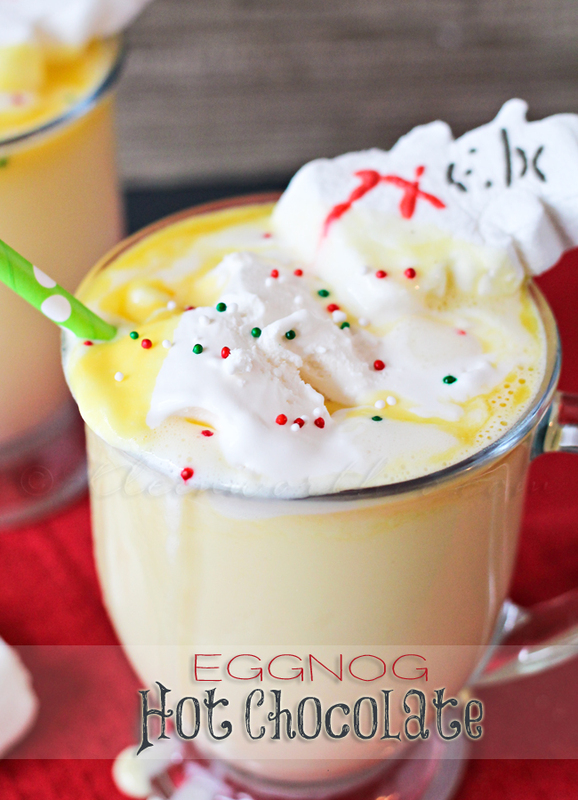 I’m making this this year! These desserts looks so pretty and yummy! Yummy! Pinned & shared. Thanks for joining the Inspiration Spotlight party! Hope your having a happy holiday season! You continue to make such yummy looking sweets. Thanks for sharing on Let’s Get Real Party.